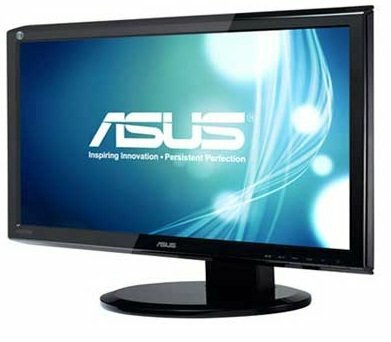 ASUS has announced the Asus VG236H 3D monitor. This 23-inch monitor will definitely take the advantage of this latest 3D technology ! The monitor is full HD with 1080p ( 1920X1080) resolution. Its got a 2ms response time, double speed 120Hz refresh rate and even Trace Free II technologies . It is designed for Nvidia’s 3D vision technology. The VG236H lets users enjoy un-compromised, vibrant colors through Color Shine technology with 400 nits ultra-brightness. This ergonomically-designed monitor comes with swivel, tilt angle, and height adjustments to ensure viewing comfort even after prolonged periods of use. It is the ideal display to experience the internet, Blu-ray movies, and games in 3D. The entertainment possibilities with the VG236H are endless, it features YPbPr and HDMI ports as well as Dual-link DVI ports for 3D playback. It comes with a built-in cable management feature that helps conceal wires for clutter-free desktops. “Through the use of market-leading Nvidia 3D Vision technology, the VG236H takes advantage of active shutter glasses, alternate-frame sequencing, and 120Hz refresh rate to deliver the action at 120fps” , says ASUS.